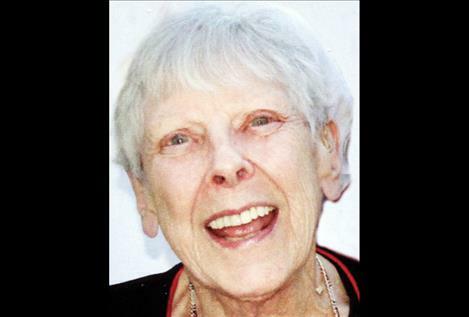 POLSON — On March 30, 2019, Marie Kadehjian (Nee Aresenault and formerly Lambert), daughter of George Dewey and Ann Catherine (McKenna) Arsenault, died peacefully at Polson Health and Rehabilitation Center, Polson, of natural causes. Marie was the loving mother of Dr. Lorelei (Lori) Lambert (Dr. Frank Tyro) of Pablo, and attorney Laurent Lambert (Sandra) of Newburyport, Massachusetts. Marie was proud of her children’s accomplishments and of her grandchildren: Regina, Emily (Al Anderson) and Robert (Ted) Colomeda, Lisa McDowell (Chris) of Juneau, and Danny (Nyla) and L. Phillip (Lisa) Lambert of Massachusetts. She has 11 great- grandchildren: Eric, Sydney, Ella, Marina, Loren, Emma, Anna, Amanda, Alex, Rima, Peter, Nicholas, and Mary Elizabeth. Marie came to Montana 19 years ago after Edward died to live with her daughter. It was there that she met her new grandchildren: Autumn Adams (Jason), Sonna Brown (Kevin) and her great-grandchildren: Elliott, Payton, Josie, Josh, Cassy Jo, Angie, Annie and Ben. A graduate of Watertown High School class of 1940, she also attended Amesbury High School in Amesbury, Massachusetts, where she was a majorette. Marie was a supervisor for many years at B.F. Goodrich in Watertown, Massachusetts. After her divorce from Joseph Lambert, she married the love of her life, Edward Kadehjian, in 1962. They had many good years together traveling to Puerto Rico, Florida, and Hawaii. The family is grateful for the dedicated care she received from the Polson Health and Rehab nurses, CNAs, physical and recreational therapists, and staff.